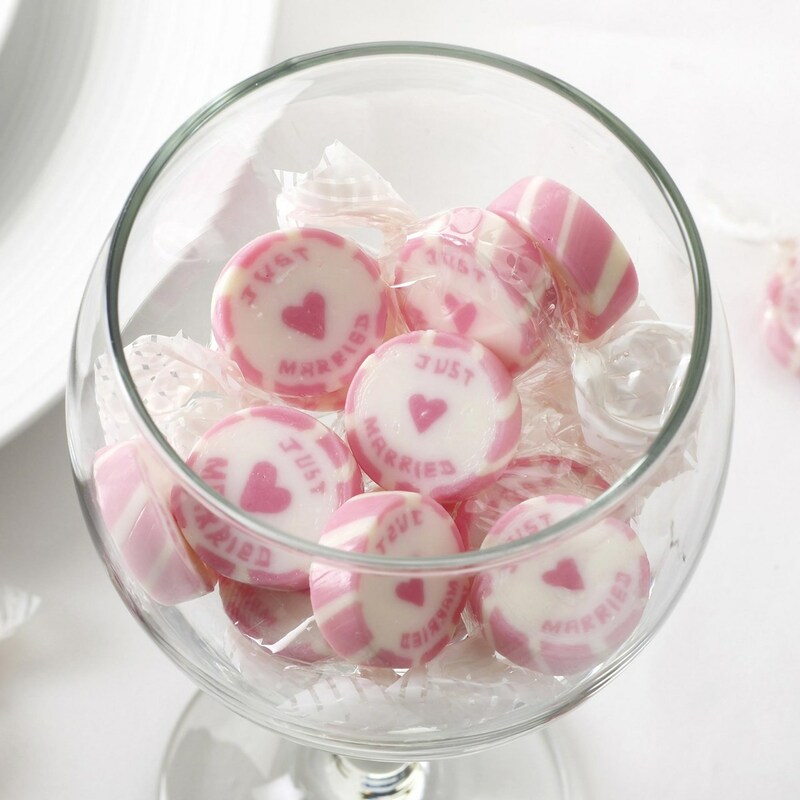 Our peppermint and strawberry flavoured Wedding Rock Sweets with "Just Married" written are a great choice for your wedding favours or your retro candy bar. 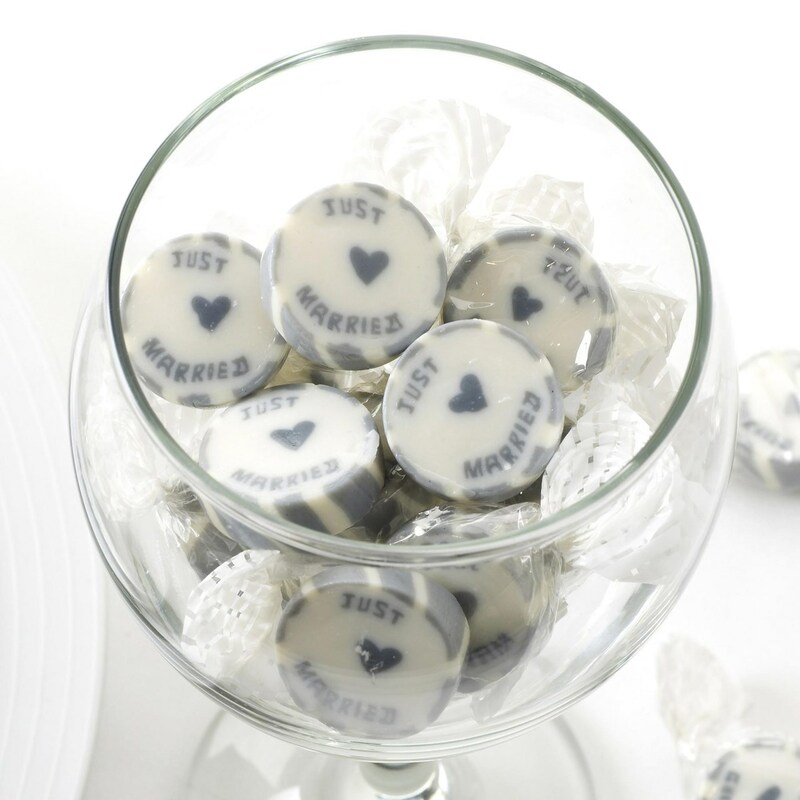 Sold in 215 gram bags containing approximately 45 individually wrapped rock sweets. 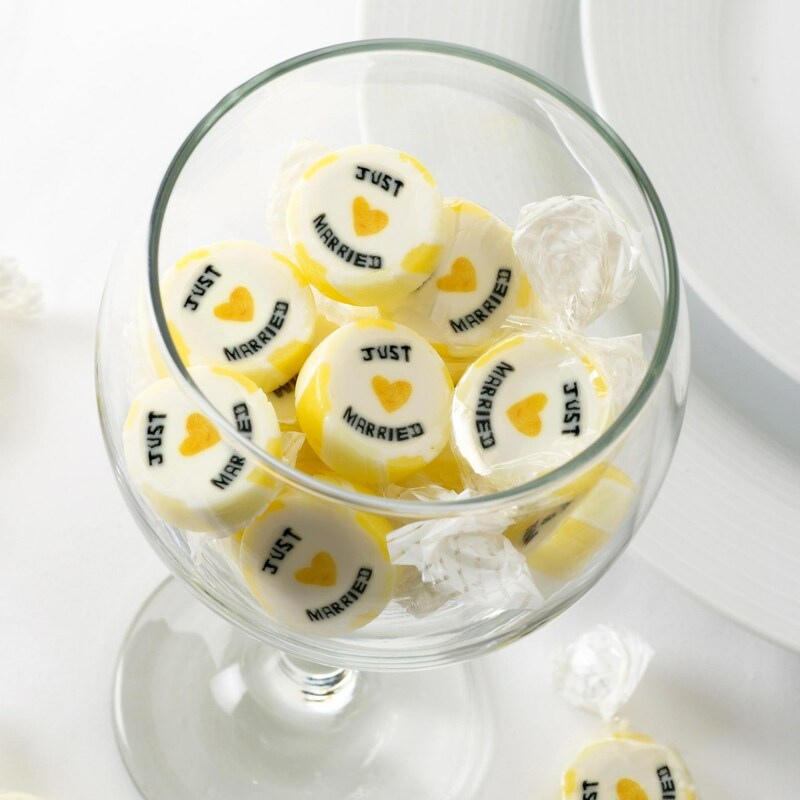 Each sweet is 23mm in diameter. Ingredients Sugar, Glucose Syrup, Flavouring and at least one of the following colours: E171, E153, E102, E110, E122, E129, E133, E132, E155.